John M. Hogan, Esq., Chair of the Corporate Healthcare and Life Sciences Group, assists physicians, hospitals, rehabilitation facilities, laboratories, medical equipment providers, surgery centers, urgent care centers and other healthcare providers with mergers and acquisitions, divestitures (including strategic transactions with private equity-backed and other national acquirers), strategic alliances and joint ventures. John also provides similar services to healthcare-related businesses such as providers of veterinary services. John advises clients on state and federal regulations, including corporate practice of medicine, Federal Trade Commission (FTC) antitrust, fee-splitting, fraud and abuse and physician self-referral laws. He has represented healthcare providers throughout the country, regularly navigating state-specific regulations and requirements. He understands the unique concerns present in these transactions and his clients’ challenges in the evolving value-based healthcare atmosphere. John works with for-profit healthcare organizations in the sale of healthcare businesses to industry buyers or private equity investors. He also represents buyers in the acquisition of healthcare organizations. John helps to establish these partnerships to facilitate a favorable outcome for both parties. He helps clients navigate all stages of these transactions, from structuring to negotiation and closing, and is well informed regarding compliance with healthcare and corporate guidelines. Prior to joining Saxton & Stump, John was a shareholder in the healthcare group with Stevens & Lee. 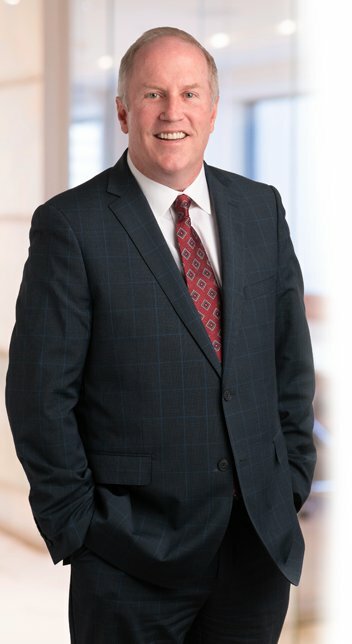 He is also the former vice president and general counsel of a physician practice management company, U.S. Physicians Inc., and assistant general counsel at a national outpatient physical rehabilitation company, NovaCare Inc.
Stay informed with firm updates, legal news, and industry resources sent directly to your inbox.